Published: Oct. 27, 2017 at 12:58 a.m.
Baltimore Ravens quarterback Joe Flacco throws a perfect pass to wide receiver Jeremy Maclin to put the Ravens on the board. Published: Sept. 17, 2017 at 02:44 p.m.
Baltimore Ravens wide receiver Jeremy Maclin holds on for nice touchdown grab before halftime. 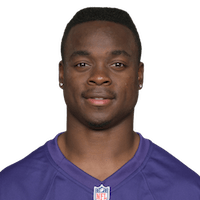 Published: Sept. 10, 2017 at 02:29 p.m.
Baltimore Ravens wide receiver Jeremy Maclin scores his first touchdown with his new team on a 48-yard pass from QB Joe Flacco.